Hello! We are excited to celebrate the gift of life for our new little one. 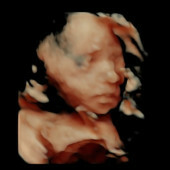 Baby has been revealed to be a girl. She is going to be born around or on August 21st. 2 baby showers have been arranged, one on June 30th (for Katrina's coworkers) and another on July 21st (for both Katrina and Brandon). We appreciate new gifts (specifically the travel system/stroller we listed), they are listed on Target and Amazon below. However, you are under no obligation to purchase new, as we understand these are single use/specialty items that a baby will grow out of quickly (what a racket), so if you obtain used- that is appreciated as well. Handmade items are also very much loved. We wanted to give as many options to help us! We are so excited to welcome our new baby, so please come celebrate with us or send us good vibes if you are out of town. Please email kvroanh@gmail.com if you need our physical address or would like more information on our baby shower on July 21st.